Upcoming Events – Firefly Gastropub & Catering Co. 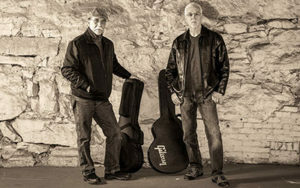 Musicians Steve Piper and Carl Hopkins will blow you away with their kinetic fusion of Blues, Rock, Reggae, R&B, Country, Folk, Jazz & Soul, played with a contagious intensity. Just try to sit still... We dare you!